The Lost and Found with support Chordie. 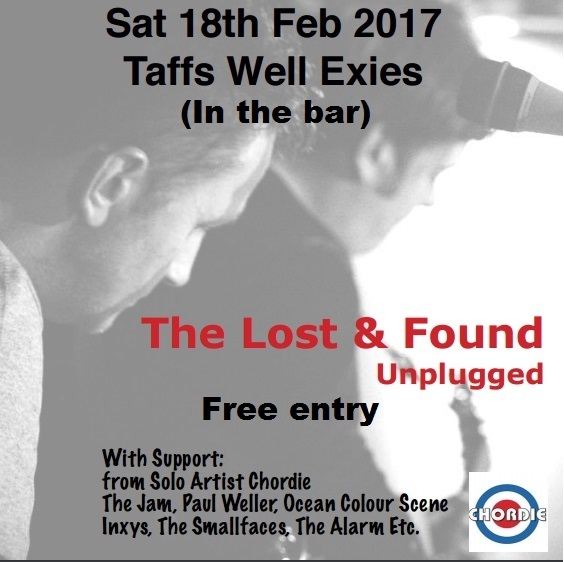 Live in the bar at Taffs Well Exies on Saturday 18th February, performing all your favourite songs from The Jam, Paul Weller, Ocean Colour Scene, The Small Faces, The Alarm etc. Be there early for a cracking night of top quality music.